Love colourful patterns? Hate the fuss? So do I. Here are 5 ways to colour change with no fuss! 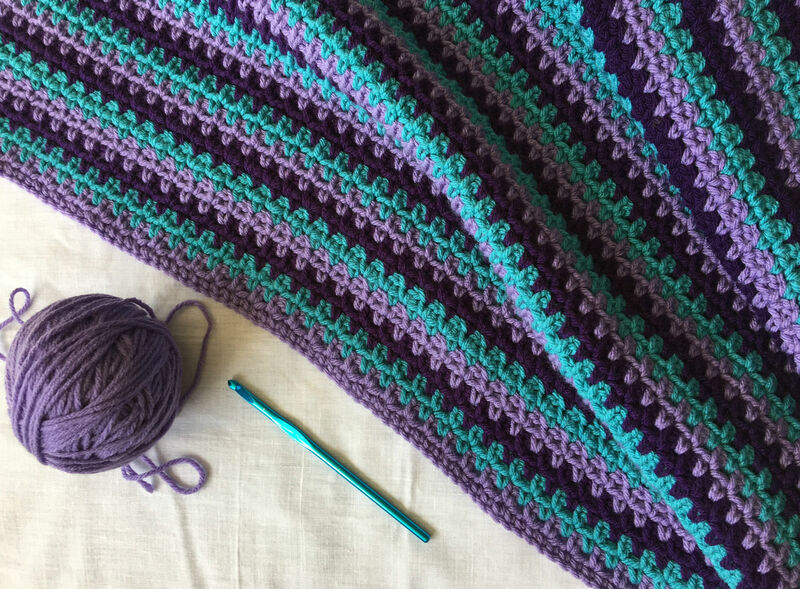 A while back, I started a what should have been a lapghan and turned out to be a toddler sized blanket, with three different colours. I was so excited! The colours looked great together and I was learning a new stitch. It was a crocheter’s dream come true. I had no idea colour changing would be such a pain however. Colour changing was something I had done a bit of in the past, but this project turned into a nightmare filled with dozens of loose ends to weave in. I was determined to find an easier way to colour change my yarn. One day. Since then, I’ve found some useful tips on how to colour change with no fuss. Keep reading on for more tips! How to Seamlessly Change Colours in Crochet. 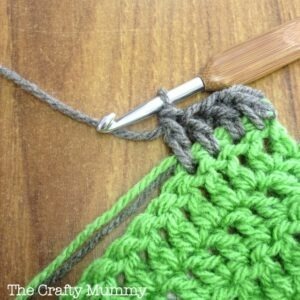 Petals to Picots tutorial is quick and easy to follow. I’ve tried this technique myself and it works. Though of course, I missed the part about carrying the yarn across the row. That would have been a huge help in my project. Like, huge. 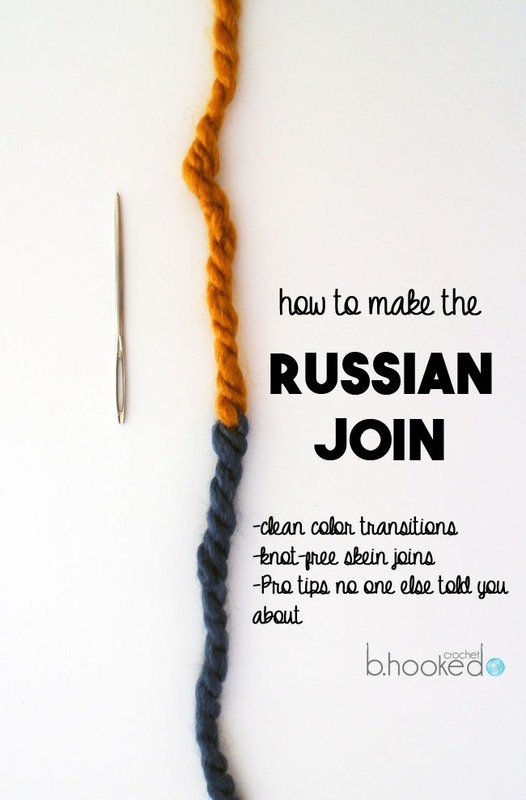 Russian Join: Change Skeins Without Knots or Ends. 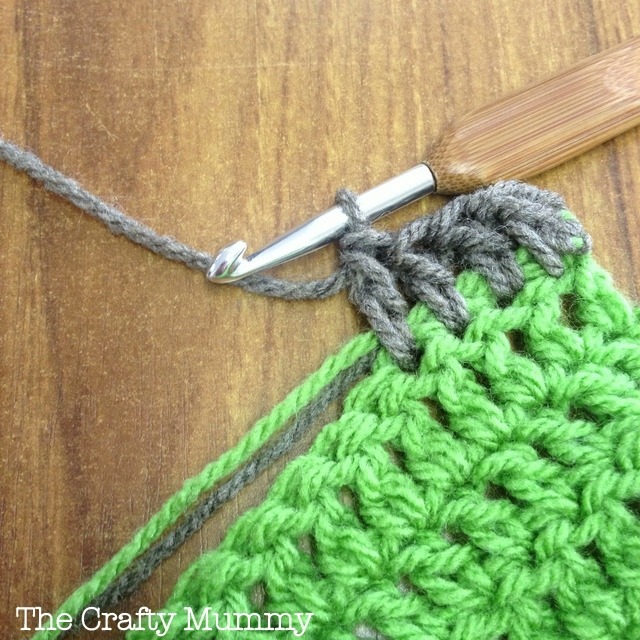 Bhooked Crochet has a method I’ve not seen before or tired. It looks easy enough. And I have to say, I hate tails and weaving them in enough that I would give this a try. Be sure to read Brittany’s caveats however. Magic Crochet Colour Change. 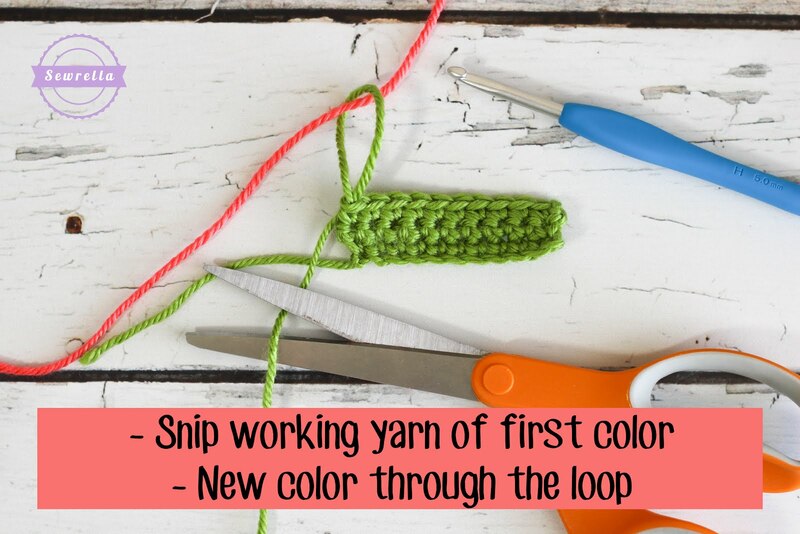 Sewrella has a lovely picture tutorial that shows how to change colours in a very neat way. I’m going to give it a try! I have to warn you, it seems involved but after looking it over more carefully, I think it’s easier than you first might think and would likely be soo worth the effort. I actually can’t wait to try it! 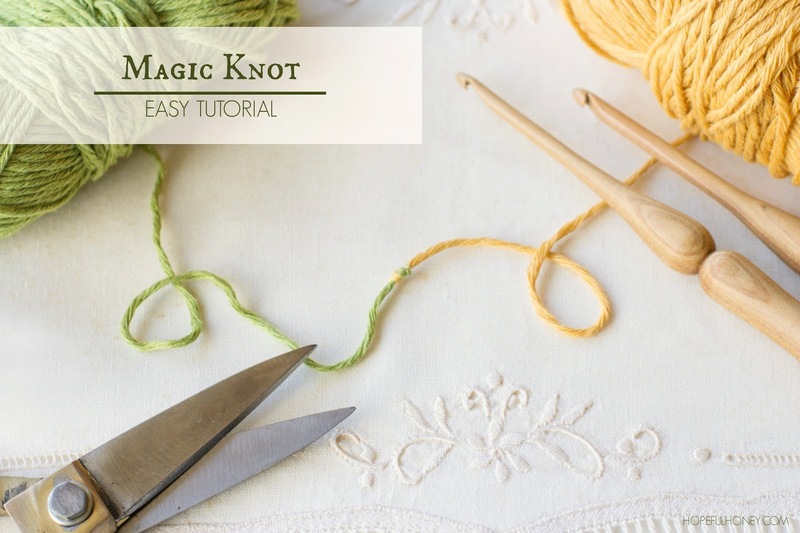 Magic Yarn (Yarn Join) Tutorial. 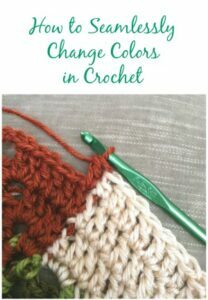 Hopeful Honey is my all time favourite crochet blog and Olivia has a wonderful colour changing method that is neat and tidy. 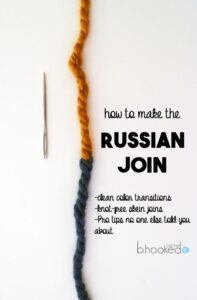 This is going to come in especially useful when your skein of yarn runs out and you need another. I will be using this method for sure. How To Change Colours. 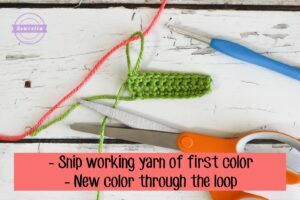 I found this technique at And Sew We Craft for changing colours, which shows you how to make the colour change without weaving in ends. It is similar to other techniques I’ve seen, but I like the instructions because they are very clear. I hope these techniques are useful! I definitely think they are or I would not be sharing them. Which is your favourite technique? Know another? Drop a line in the comments section. Happy hooking friends!